Is Facebook Offers a part of your marketing strategy? If yes, a good news for you. Now you can get more engagement with improved Facebook Offers. Want to know what the new updates are? 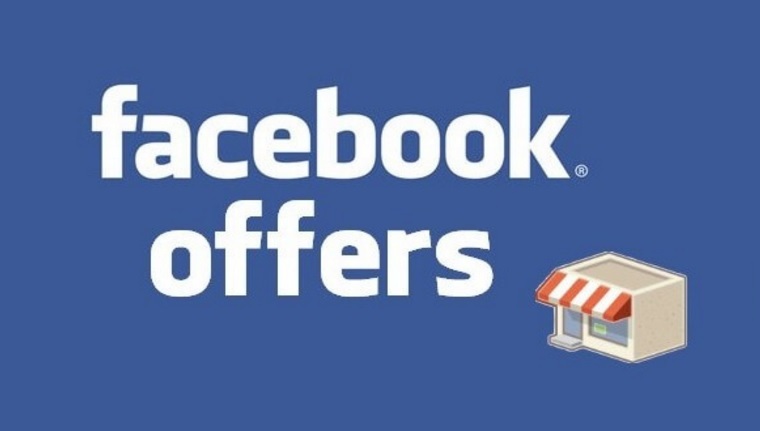 Just read the article to know more about the new Offers on Facebook. Facebook does do a lot for its advertiser-users. In the year 2012, it launched Offers feature for the sake of businesses promoting on it. With this feature, businesses can promote their offers and attract customers. Yet, the feature was confined to promotion only. This dissatisfaction lasts for no more now. 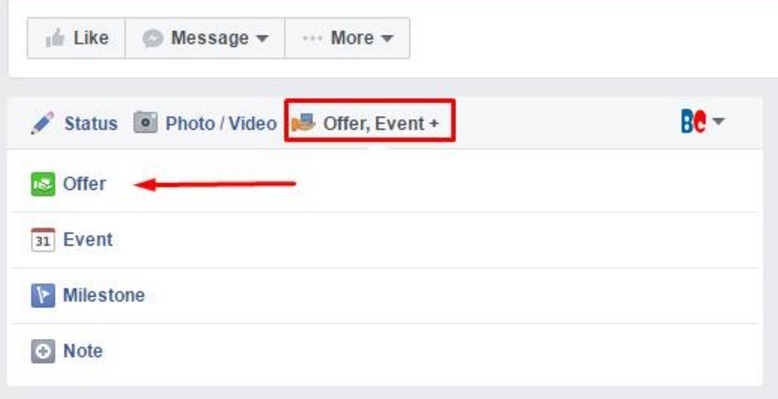 Yes, Facebook has announced a new updated Facebook Offers. So marketers, know what is there in the improved Facebook Offers for you and your customers and how you are going to engage more with your customers. Every time Facebook comes with updates and new classy features that help social media marketers in one or another way. Offers – A key strategy for attracting customers and making a great business. Because people love offers. Just telling you the fact, I search for offers first and then think of other things next when I’m shopping. And this is the most common thing in every shopper. Keeping this fact in mind, Facebook has redesigned and brought new Facebook Offers. 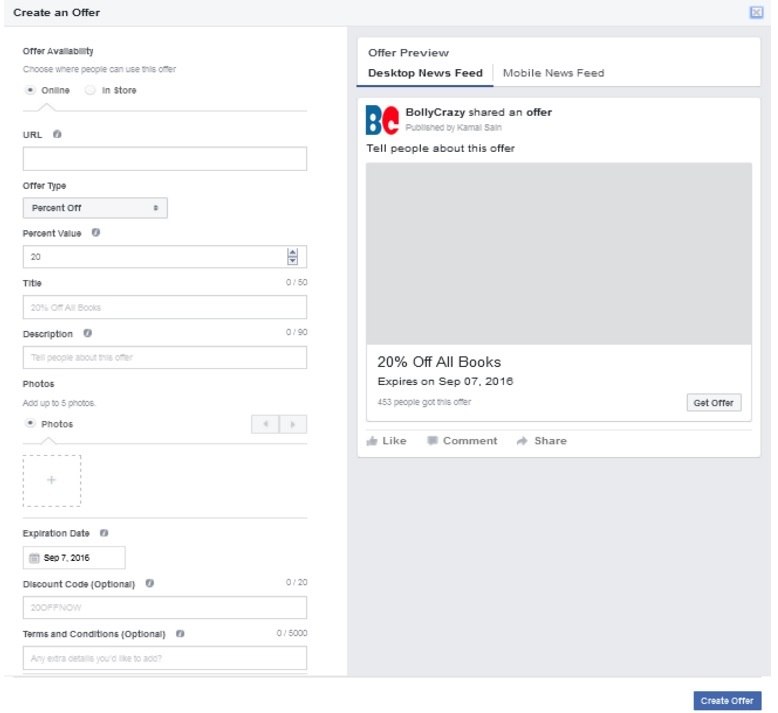 Marketers can now easily reach their targeted customers with their offers on Facebook. This amazing feature gives flexibility to run the offers, target the users and letting the users redeem the offers on their device itself. You can offer online offers or in-store offers. You can advertise the offers through a offer ad or you can post it on your business page. Just like any other ads, you can use various ad formats like slideshows and carousels and you can target audience of various categories. In your ads report, you can see how many offers were redeemed. 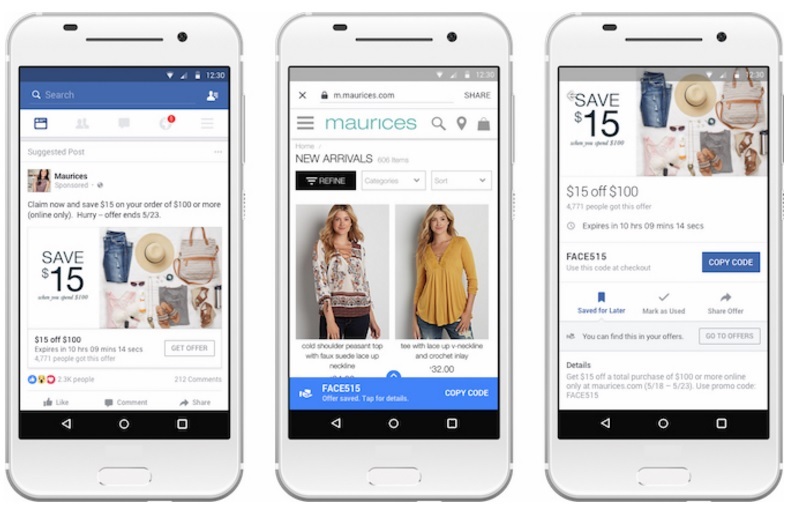 While testing the feature, a clothing business Maurices has seen a 31% increase in its returns on ad spending. Shoppers, getting offers is so easy for us now. We can easily find alluring offers on Facebook and claim them easily on any device from anywhere. If you want, you can save the offers to new Offers bookmark. So, you can check and claim your offer whenever you want on mobile, desktop or at the store. It depends on the type of offer the advertiser specifies, though. Users, no need to remember the offer code anymore. You can simply copy the offer code and paste it on the merchant site if you are using it on mobile. So that, you can get access to the terms and conditions and other details. For in-store offers, Facebook gives a QR code or a bar-code. Just save the offer to bookmarks. At the check-out time in the store, just open the offer. The merchant can scan the code. Thus you can claim your offer. You may forget your offers sometimes. But don’t worry. Facebook alerts you with regular updates when the offer is about to expire. If you claim an offer on mobile, you can get a notification the moment you log in to Facebook on desktop. As of now, Facebook offers supports one offer code or QR code. This is enough for marketers who want a mass distribution of their offer. But some businesses want to give special offers to some special customers, or they may want to control the mass distribution of the offer. For such marketers, Facebook is working on unique offer codes. 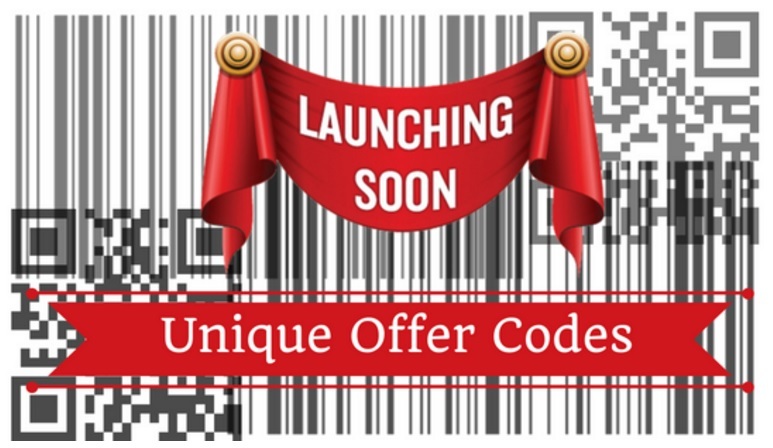 With these codes, marketers can give a unique offer code for each and every individual. And this feature will be launched soon. Just open your business page. At the top of the page timeline, you can find ‘Offers, Events+’. Just click on it and click on Offer. A form will appear. Furnish all the particulars and see the preview on the right side. Once everything is done, click ‘create offer’. Here I’m giving you a small example on how the offers help businesses in getting great success. Let’s take a look at the success story of the household and healthcare giant, LG. These results were accomplished with the previous version of offers feature on Facebook on which we can only promote our offer. There might be a chance of users ignoring them as they had to remember the coupon code or had to be redirected to another site. But now with the new version of Facebook Offers, users can easily redeem their offers with the advanced redemption features. My dear marketers, who doesn’t fall for offers? When redeeming the offer made too easy, no one really wants to scroll down the page without clicking on it. It makes clear that Facebook is giving us a great chance to drive our audience towards our business. And it’s all our part in making them loyal customers of our business. So guys, it’s time to hone your strategies.